was sealed, just opened to check condition. - Mint Copy - No Cut-Outs ! - very nice & one of the best & funkiest Blaxploitation anyway ! A 1 You Can’t Even Walk In The Park (Opening Theme) ? A 2 Are You Man Enough? (Main Title) . . . . . . . . ? A 3 Aleme Finds Shaft . . . . . . . . . . . . . . . . ? 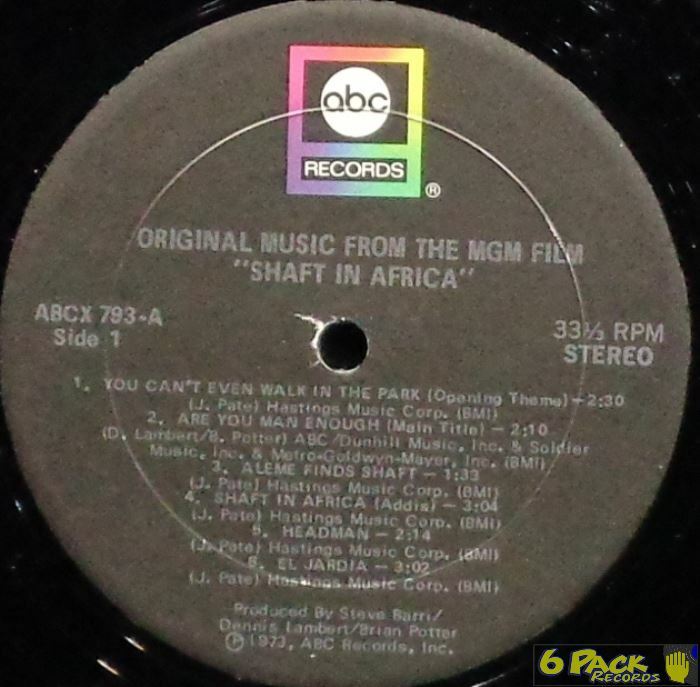 A 4 Shaft In Africa (Addis) . . . . . . . . . . . . . ? A 5 Headman . . . . . . . . . . . . . . . . . . . . . . ? A 6 El Jardia . . . . . . . . . . . . . . . . . . . . . ? B 1 Are You Man Enough? . . . . . . . . . . . . . . . ? B 2 Jazar’s Theme . . . . . . . . . . . . . . . . . . ? B 3 Truck Stop . . . . . . . . . . . . . . . . . . . . ? B 4 Aleme’s Theme . . . . . . . . . . . . . . . . . . ? B 5 El Jardia (Reprise) . . . . . . . . . . . . . . . ? B 6 Are You Man Enough? (End Title). . . . . . . . . ? Suche nach JOHNNY PATE in meinem Shop.